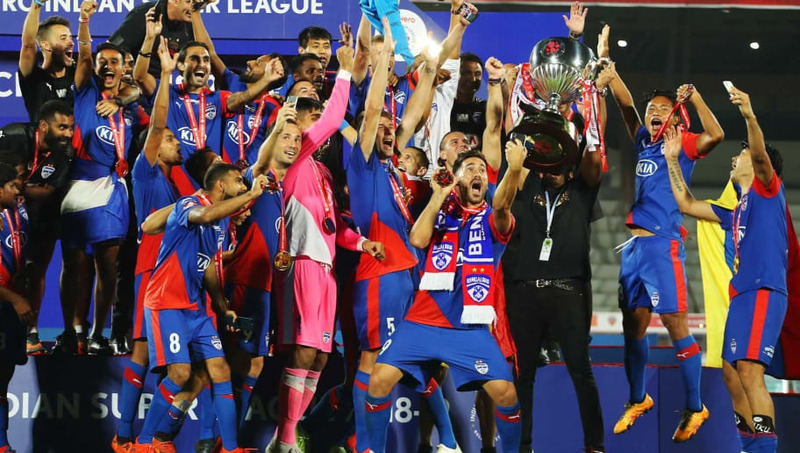 Bengaluru FC beat FC Goa 1-0 courtesy of a goal from Rahul Bheke in extra time in the final to clinch their maiden Indian Super League title on Sunday night. While the Blues and Goa were two of the best teams of the tournament by far, there were some other individual talents who impressed this season. Here's a look at the best XI from season five of the Indian Super League. This was a close one. 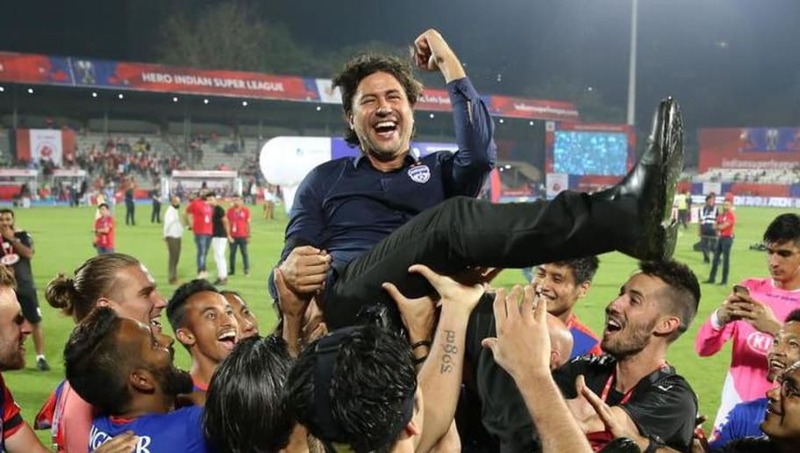 By far, the top three coaches in the ISL this season were Bengaluru FC coach Cuadrat, Sergio Lobera and Eelco Schattorie. While Lobera changed the whole dynamic of FC Goa, Schattorie ensured that NorthEast rose from its ruins to become a top ISL team. But Cuadrat changed the dynamic of Indian football by leading Bengaluru FC to a triumphant league season followed by winning the trophy. 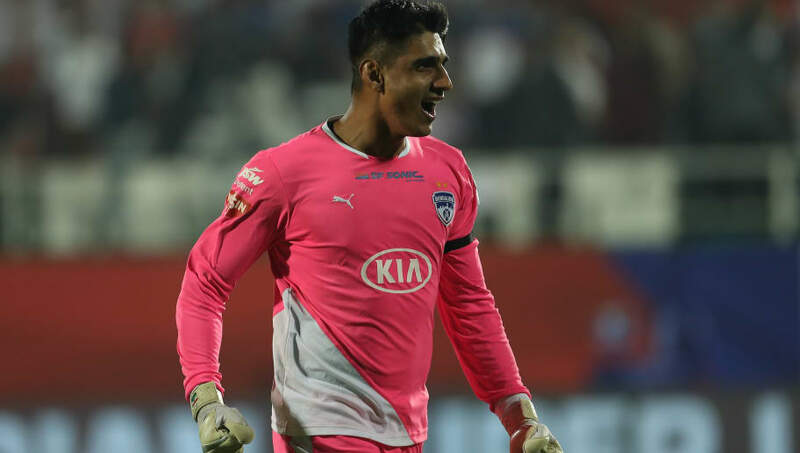 Bengaluru FC goalkeeper Gurpreet Singh Sandhu was one of the standout performers of the Indian Super League this season. 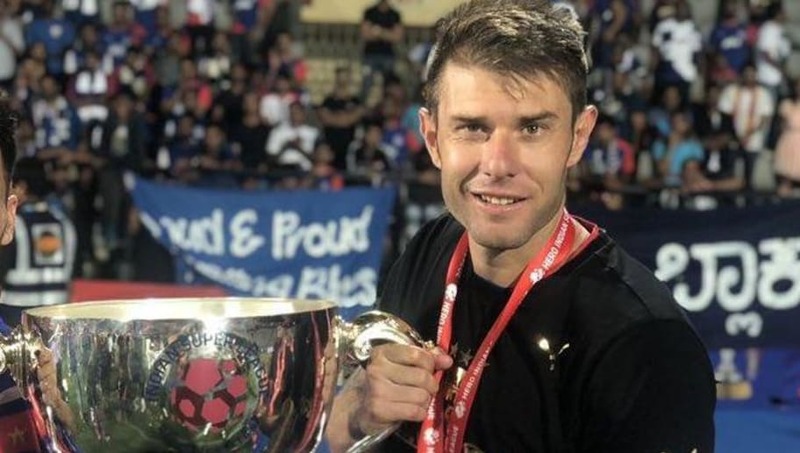 Although statistically he is the second best goalkeeper in the league after Mumbai City FC's Amrinder Singh, his performances at key timings for Bengaluru proved to be crucial to the Blues' title triumph. In a close call with FC Goa's Mandar Rao Dessai, Bengaluru FC's left-back Nishu Kumar stood out simply due to his contributions to his team's attack while playing his role as a defender. He showed his finishing with a pile-driver that brought Bengaluru back into a tough game at home against Jamshedpur and his defending improved as the season went along, which earns him a rightful place in the best XI of this ISL season. Juanan was one of the main reasons for Bengaluru FC's incredible defensive performance this season. In the 18 games they played in the league stage, Bengaluru FC won 10, drew four and lost four games, scoring 29 and conceding just 22 goals, fifth lowest in the league. 31-year-old Juanan ended up playing 20 games in the season including semi-final and final and his performances throughout those games was brilliant. Being a defender, Juanan's passing accuracy was an astonishing 84.53%. On the defensive side, the Spaniard made 22 perfect tackles, nine interceptions, 21 blocks and 152 clearances throughout the season as he helped Bengaluru FC win the ISL crown this season. 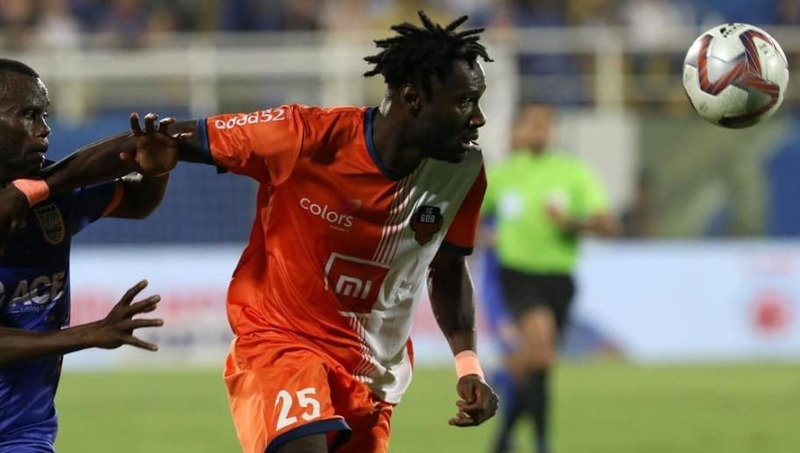 Senegalese defender Mourtada Fall was a revelation throughout the season as he helped FC Goa neutralise all opposition threat with his composure and defensive capabilities. His versatility was one of the highlights of his successful campaign as he managed to score four goals, two of them in the 5-1 win against Mumbai City in the semi-final. Just ahead of Bengaluru FC's Rahul Bheke, who scored the winner in the ISL final, FC Goa's Seriton Fernandes was more consistent throughout the season than his BFC opponent in this case. Fernandes showed extreme composure and braveness in certain intimidating situations throughout the tournament, which also makes him a contender for the national team call-up soon. 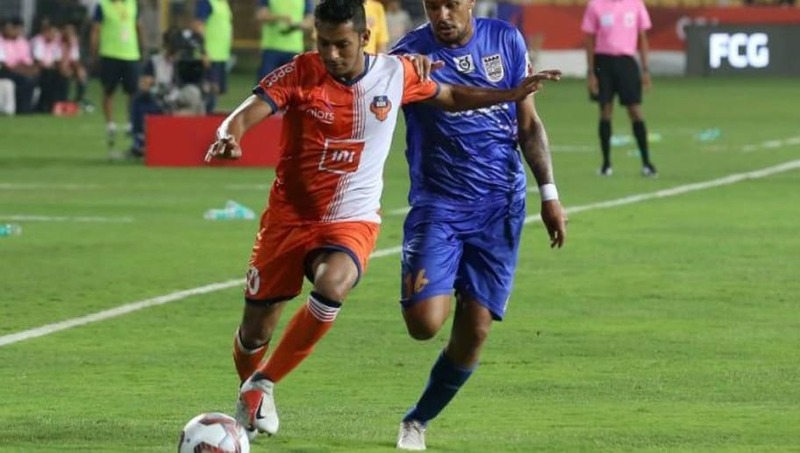 One of the best passers and midfielders in the Indian Super League this season, FC Goa's Ahmed Jahouh was one of the key reasons for the Gaurs' journey to the final this season. With a pass completion rate of almost 80%, Jahouh made almost 74 averages passes per game this season. 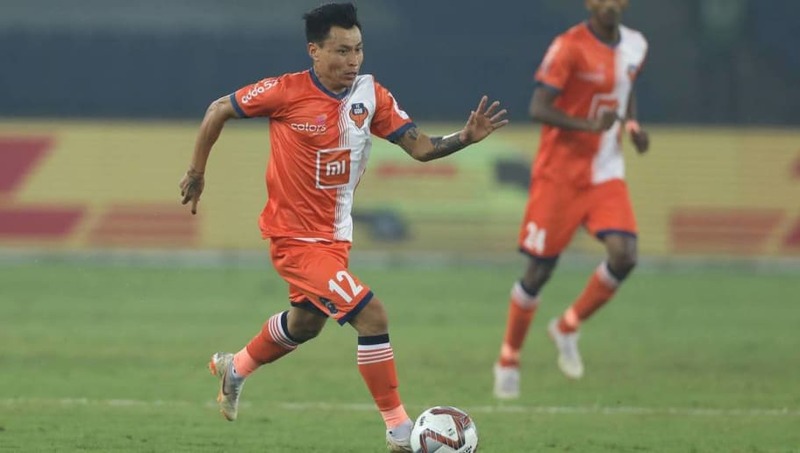 Additionally, he made as many as 126 tackles, 33 interceptions, 40 blocks and 48 clearances to ensure FC Goa had a stable midfield throughout the season. One of the top performers in midfield in the ISL this season, NorthEast United's Rowllin Borges was crucial in the Highlanders' journey to the play-offs. The Indian midfielder played 19 games in the campaign, scored four goals and assisted two in what was quite a wonderful performance that finally ensured that the Highlanders are a force to be reckoned with in the upcoming seasons. Borges maintained an 82.91% passing accuracy and you won't see many players achieving that number. It shows the amount of composure and dominance he had on the ball in what was a great season for the 26-year-old. Slightly ahead of Bengaluru FC's Udanta Singh, FC Goa's Jackichand Singh contributed too much to the Gaurs to be ignored in this list. 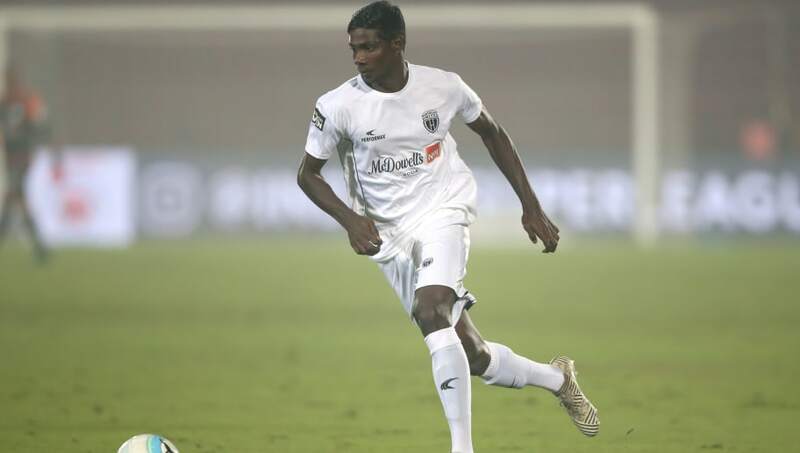 Four goals and four assists in the season do not define the way in which Jackichand played throughout the season, especially the way in which he and Ferran Corominas lined-up in Goa's journey till the final. Words can seem pretty few when speaking about India's greatest footballer Sunil Chhetri. 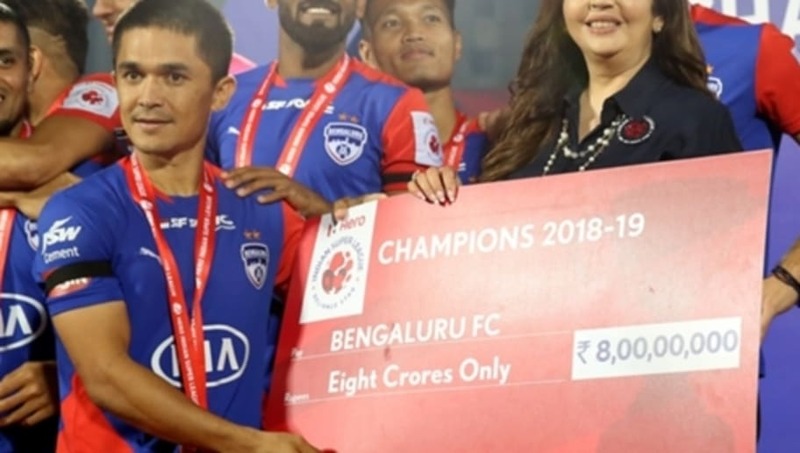 The Bengaluru FC superstar picked himself up after India's disappointing AFC Asian Cup in January and led his club to win their first ever Indian Super League title two months later. 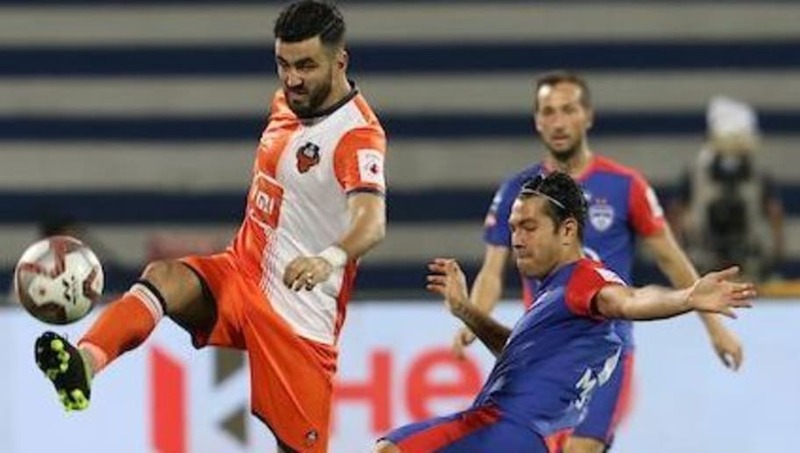 The BFC captain might have not scored in the final win against FC Goa but he managed to score nine goals and assist another three in the 19 ISL games he played in before the final. Not only that, the sheer passion. leadership and confidence he displayed for Bengaluru FC right up until they won the ISL title, makes him an automatic selection in the best team of the tournament. Bengaluru FC missed Miku for most of the ISL season and Chhetri stepped up to deliver critical performances that kept them on top of the league table for the season. Captain, Leader, Legend, indeed! 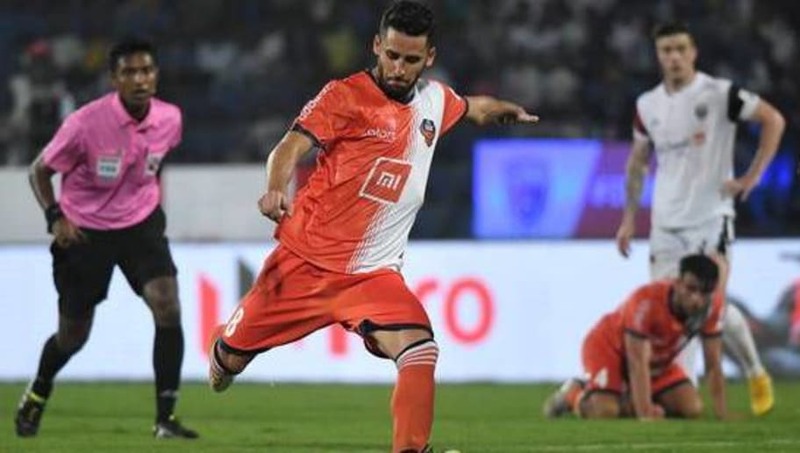 By far the best player as well as the highest goalscorer in the Indian Super League this year, FC Goa's Ferran Corominas scored 16 goals and provided 7 assists in 20 games for his club's journey to the ISL final this year. Most of his goals came from his incredible sense of positioning. Being at the right place at the right time is what a striker should do and that is exactly what Coro did consistently throughout the season. He deservedly won the Golden Boot for this season. 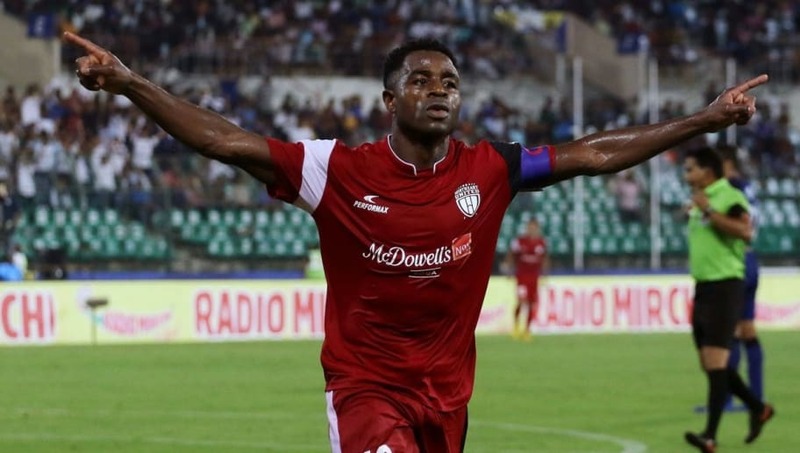 Only two players bagged hat-tricks in the Indian Super League this season, one was Mumbai City FC's Modou Sougou and the other was Northeast United hitman Bartholomew Ogbeche. Ogbeche scored 12 goals in 18 games to lead NorthEast United's first journey to the ISL playoffs. Sadly enough for him, Ogbeche strained a hamstring during the first leg of the semi-final against Bengaluru FC in Guwahati which marked the end of his ISL season. Nonetheless, he deserves a spot in the best XI for his incredible performances throughout the campaign.